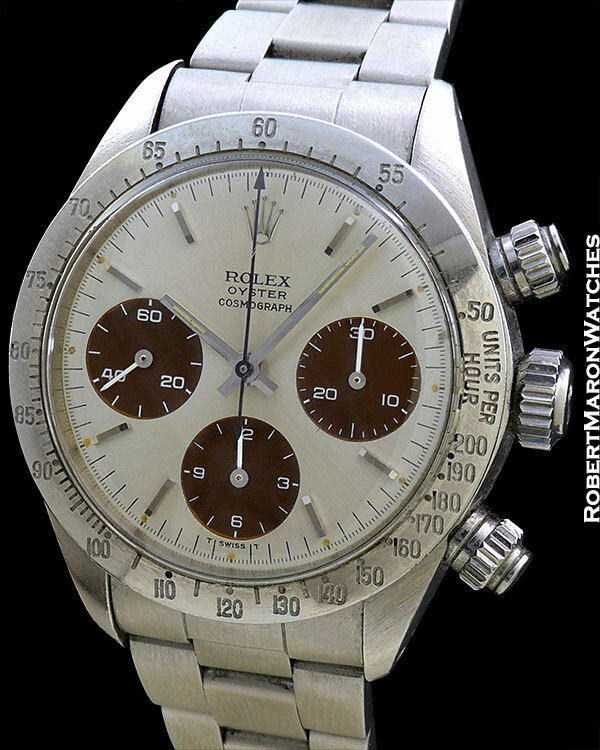 The Rolex Cosmograph Daytona chronographs from the 1970s and 80s are, without a doubt, the most collectable vintage watches extant. More than simply being a rare object of desire, the vintage Daytona is a really nice watch and is the ultimate casual weekend sports watch for the discerning gentleman. This particular vintage Daytona has special dial. 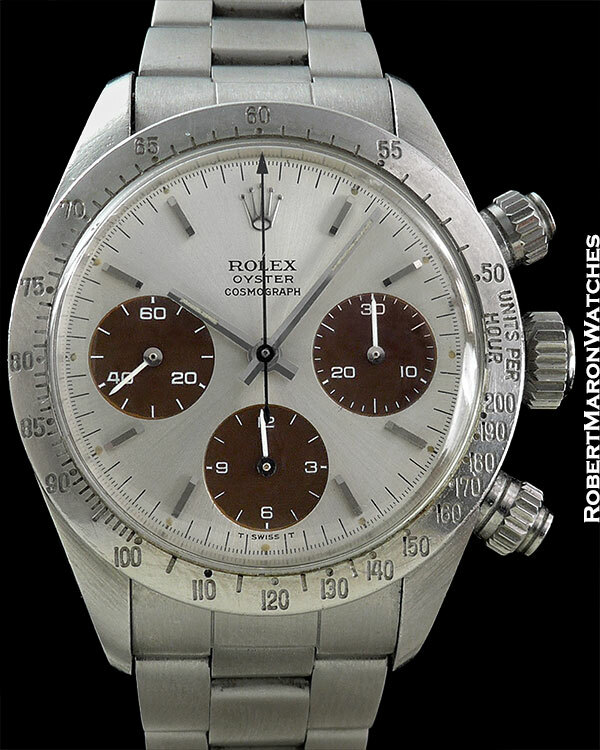 Dial is original and untouched, but the originally black subdials have changed color into a deep chocolate brown. 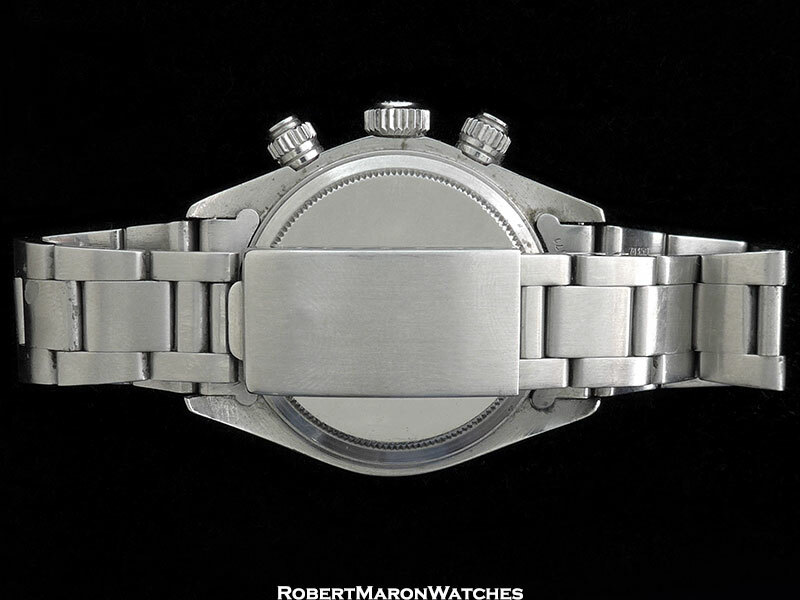 Original case is stainless steel with a diameter of 38mm and 13.5mm thickness. Case features plastic crystal, screw down crown and chronograph pushers, polished bezel with engraved 50-200 Units per Hour scale. Original movement is the manual winding Rolex Caliber 727 with 17 jewels and adjusted to three positions. This is a column wheel construction chronograph, which is the efflorescence of chronograph caliber design. The movement winds smoothly and runs well.